These mailbox banks provide a fun introduction to fiscal responsibility. 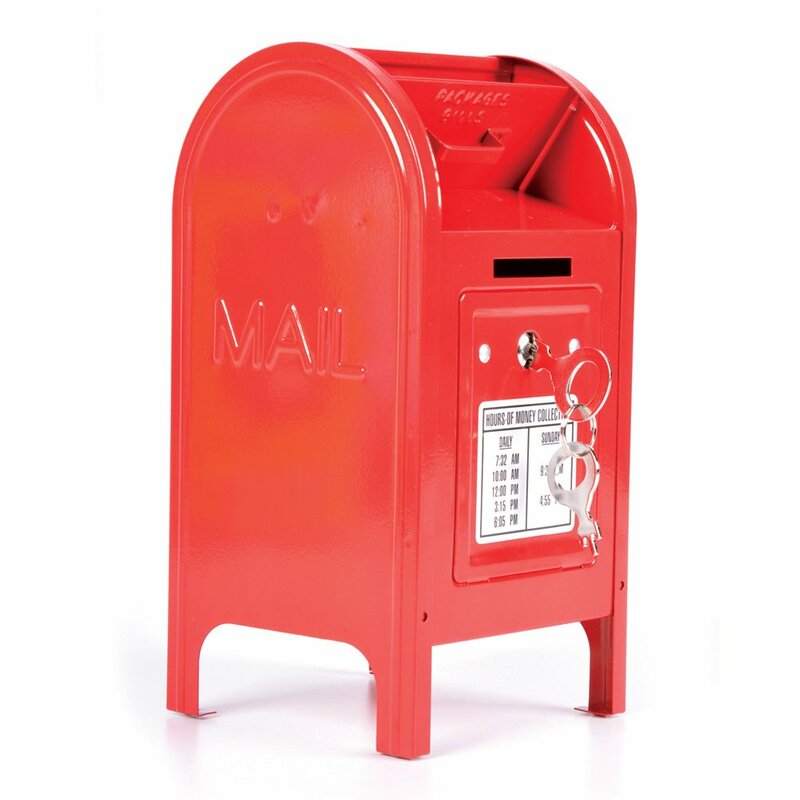 The companion Miniature Red Mailbox is shaped just like a real mailbox. After the holiday, use it as a bank – it comes with two keys. These mailbox banks provide a fun introduction to fiscal responsibility. Colors may vary. Shaped just like a real mailbox. Check it out now on Amazon! 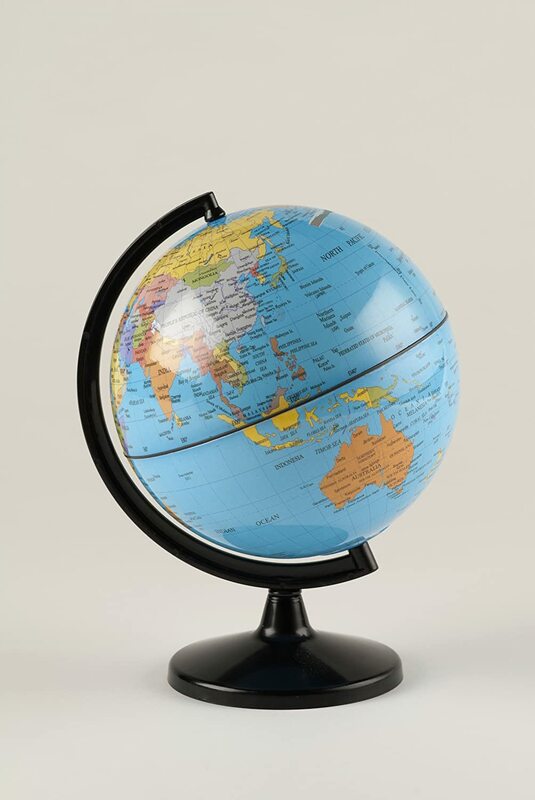 Children can learn about the world and oceans and other countries while saving their pennies. Check it out now on Amazon! 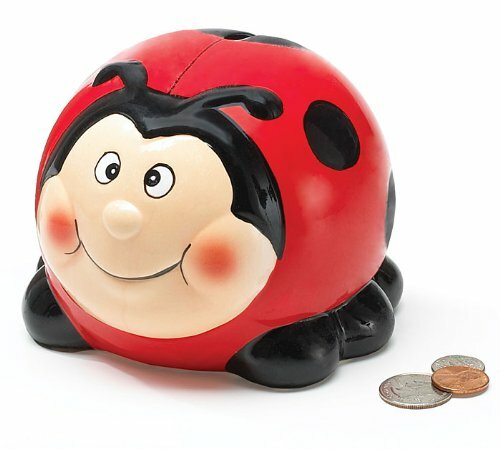 Who could resist saving their coins in this adorable bank? Hand painted, raised ceramic bank. Coin slot is on the ladybug’s back. It is only hand washable. Check it out now on Amazon! Penny saved is penny earned! In India, we say, little drops make a pond. Keep small coins and money securely in this cute holder, and take them out when you need them most. Or simply help your child develop consciousness for saving from his own pocket money. 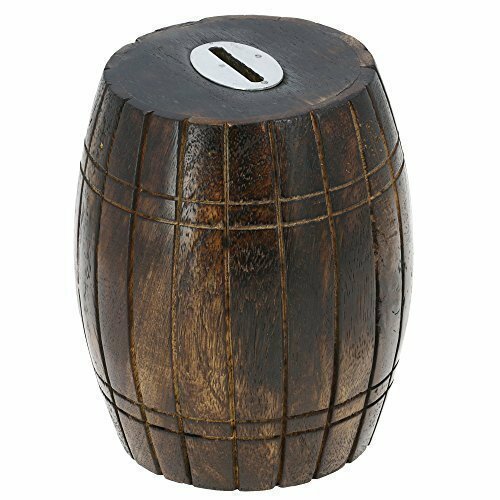 This money bank is made in high quality natural wood and is likely to last many years. 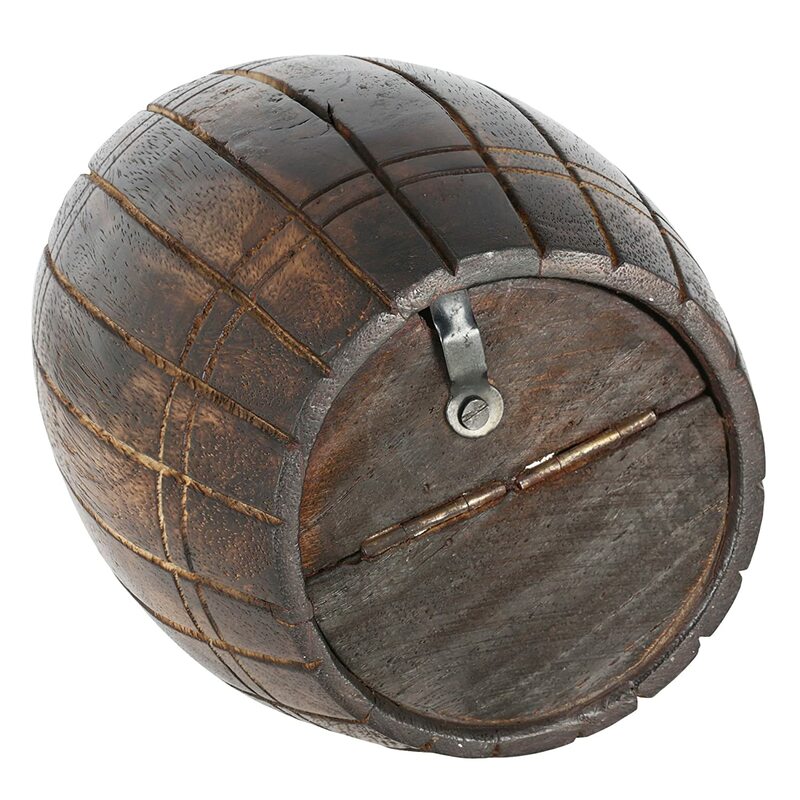 Purely for its design, it is as good a collectible to own, as it is a beautiful décor item in any part of your home. Hereditary and skilled artisans of Uttar Pradesh have created the money holder by hand, one at a time. 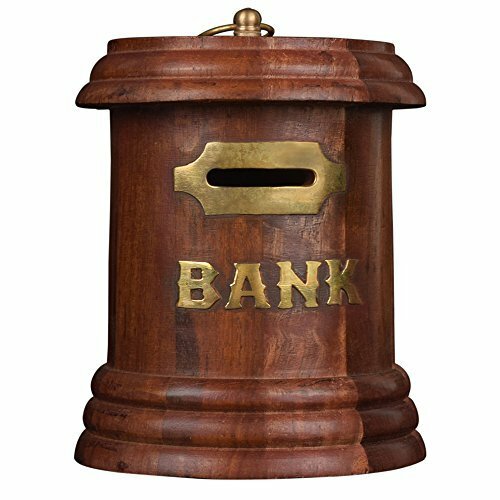 This money bank would make a thoughtful and memorable gift for any one on any occasion. Check it out now on Amazon! 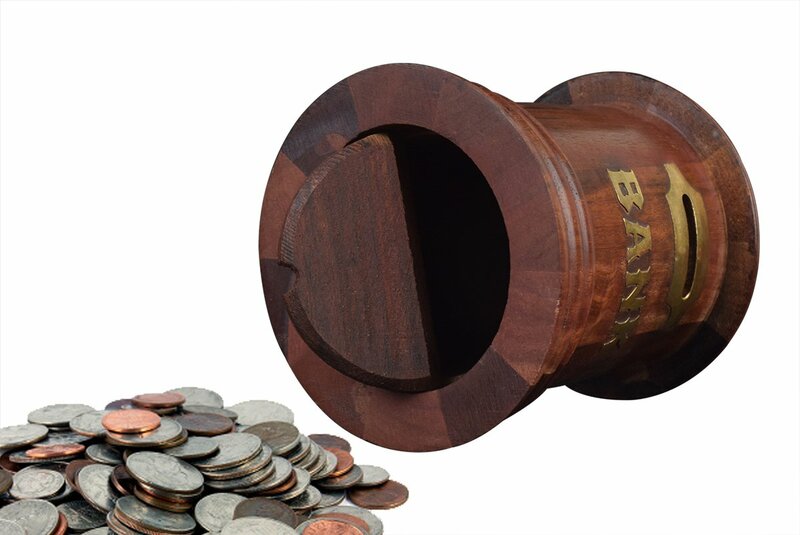 A cute barrel shaped money bank made from wood with a stainless steel lid with slot to slide in money.A money bank is an excellent way to teach children & young teens about the value of money and the importance of savings, instilling in them an important concept that will be used all throughout their lives.The wood used for this product is beautiful Rosewood, which has a dark characteristic, and is extremely strong, giving the money bank barrel a tough exterior, while at the same time a cute fun element to have in ones room.A nice addition to ones home, or to gift a loved one. Check it out now on Amazon! Previous 5 Skateboards With The Coolest Prints To Make Your Skateboard Stand Out From The Crowd!